Anderson and Kerr Engineering offers integrated solutions, products and services specific to your business and cylindrical needs. We are specialists in the design, manufacture and repair of hydraulic and pneumatic cylinders and power packs.We take care of every process when a cylinder comes to our workshop, from design, manufacturing, servicing and testing to painting and installation. We have a dedicated team of engineers and draughtsmen who work according to OEM specifications to produce all necessary components. With the facilities to accommodate large-scale production, Anderson and Kerr can manufacture up to 12-meter cylinders in length. Our entire cylinder production process is ISO 9001:2008 compliant. This gives us the confidence to deliver solutions that meet your specific needs. Anderson and Kerr provides new and remanufactured hydraulic and pneumatic cylinders and ancillary equipment for: Ladle Turret’s, Rotary Joints, Segment’s, Automatic gauge Control blocks, Coiler’s, Ladle Lift, Furnace Tilt and Roof Lifts and Accumulator’s. As well as for all major steel mills in South Africa including Arcellor Mittal, Highveld Steel, Columbus Stainless, Saldanha Steel, Anglo Platinum, Zimplats and Huletts Aluminium. With strategic alliances with various local and international suppliers as well as keeping stock of several components and items regularly used in hydraulic and pneumatic application. We are able to provide all the necessary resources to remanufacture cylinders at a fraction of the cost of a brand-new cylinder. This remanufactured cylinder operates at the same high performance and reliability level as a new cylinder, while saving costs for our customers as well as valuable resources that reduces the harsh impact it has on the environment. This, combined with our skilled in-house team of engineers, artisans and workforce, ensures the customer receives high quality service and end product. Cylinders are disassembled and properly inspected. This includes cleaning, disassembly and complete assessment including critical measurement, material verification and testing and other NDT before disassembly. The newly remanufactured cylinder is pressure tested according to client specification often above standard working pressure to ensure reliability in the working environment. By continuously applying the world class best practices in the industry we are creating products with lasting quality to help you achieve your own targets. We are no stranger to our products working under harsh conditions, therefor we give special care to durability, excellence, efficiency and reliability. Anderson and Kerr is one of the largest distributors to the mining industry in South Africa as well as bordering countries. Our last process before shipping is the function testing of all products. This ensures we only send out quality of the highest standard. Accompanied by your same-as-new cylinder, we also include comprehensivemaintenance and operating manual, as well as a test certificate, material certificate, heat treatment and other related testing certificates and processes as required by customer specification. We are constantly trying to produce cost effective solutions to our customers and gearbox reconditioning is an important part of our process. Reconditioned gearboxes cost a fraction of the cost and time of new gearboxes. While the price is significantly lower for a reconditioned gearbox, the quality remains of the same high standard as a new gearbox. As with all our other products, we manufacture all reconditioned gearboxes according to OEM standards. There are a couple of reasons why a product may no longer function correctly; old age, lack of grease, high carrying loads or other determining factors. Our workforce is there to skilfully apply their experience to quality line boring. When you purchase an Anderson and Kerr product, you are also receiving a strong commitment from us. We provide consulting solutions as well as on-site maintenance for all customers. We believe in close working relationships with our customers to understand our customer’s need and how we can assist here. We offer a comprehensive consulting solution to all our clients. This service was created to ensure the productivity of your business grows while we create custom-made solutions fit for your business and industry. Our consulting services are there to deliver comprehensive understanding of the operational requirements and to learn of any operational challenges or any challenge that might be experienced in implementing new solutions in order to offer an efficient solution. We are there to further help identify any gaps overlooked within your business that can result in potential improvements. To help customers optimisethe performance of their machinery, we offer on-site maintenance. We believe this to be a big factor in saving our clients’ time and day-to-day running expenses. Most importantly we ensure their hydraulic and pneumatic machines remain in top condition for optimal production. Technicians are available to assist with installation. Where required operating manuals can be supplied. Manufacture and Install 18.5 kW Hydraulic Power Pack and Cylinder (140 Bore x 80 Rod x 13500 Stroke) at WetPipe. Manufacture and Install Hydraulic Power Pack, Hydraulic Cylinders and Accumulators at ArcelorMittal Vanderbijlpark Basic Oxygen Furnace Ladle. Manufacture and Install Hydraulic Manifolds at ArcelorMittal Blast Furnace Stockhouse Weighing system. Manufacture and Install 11 kW Hydraulic Power Pack, Valve Stands & Hydraulic Cylinders (125 Bore x 70 Rod x 265 Stroke) at Hulamin FM8 Foil Mill Plant – Decoil Centering. Manufacture and Install 5.5 kW Hydraulic Power Pack and Steering Units at ArcelorMittal Vanderbijlpark Continuous Pickling Line No. 3. Manufacture and Install 90 kW Hydraulic Power Pack, Walking Beam Conveyor, Hydraulic Cylinders and Accumulator at ArcelorMittal Vanderbijlpark Continuous Pickling Line No. 3. Manufacture and Install 18.5 kW Power Pack and Cylinder (140 Bore x 80 Rod x 13500 Stroke) at WetPipe. The design and development of all types of hydraulic and pneumatic systems. Including directional valves, over centre valves and complete hydraulic powerpack solutions for all industries. 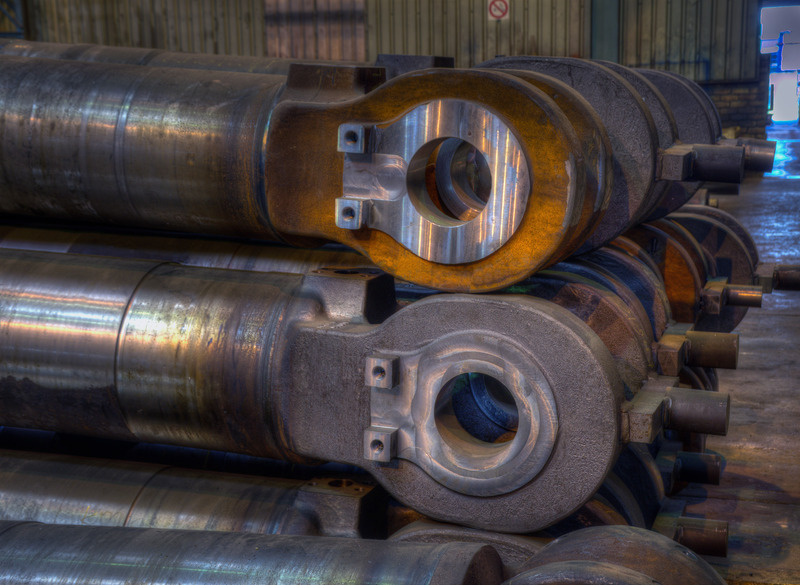 Anderson and Kerr is the approved manufacturer of new cylinders for Komatsu Mining to their standards and specifications.